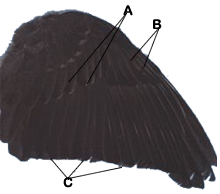 Passerine as common and widespread as the blackbird, medium in size (length: 23 cm, wingspan: 33-36 cm) .The head and upperparts are brownish without eyebrows or marked pattern. The underparts are whitish on the breast with black spots (scrapes) extending on the flanks.Both sexes are identical. Slight geographical variations are distinguished by distinguishing 3 races: Tpphilomelos -Tpclarkei and Tphebridensis. The weight varies according to the seasons: T .p.clarkei: 69-101g Jan-Feb; 68-96g: March-April and 75-107g: Nov-Dec; Tpphilomelos: 62-77g: March; 61-100: Sept-Oct; in migration: 50-83g. There is no significant difference in size in the Western Palearctic. Tphebridensis (Hebrides) is considered darker than Tclarkei. . Other British and adjacent continental (Clarkei) birds have less staining but are much rougher than the typical breed (philomelos), which lives in the rest of the western Palearctic and is more greyish brown. According to (3): plate 74. Turdus p.philomelos: 1 = Adult (spring): 2 = Adult (1st fall): 3 = Juvenile. Turdus.p.clarkei: 4 = Adult (spring): 5 = Adult (1st fall). 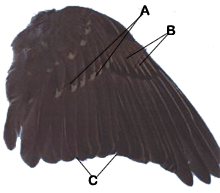 Tphebridensis: 6 = Adult (fall): 7 = Juvenile. The voice : cries, especially in migration are relatively discreet, the most common is a “tsic” metal or a “tsip” issued in flight. The alarm call is a repeated “chech-cheuc”. The nuptial song (issued from March to August) is a series of repeated melodic and musical phrases, three or four times. This repetition is a characteristic of the species. The species readily mimics other passerines and non-passerines (Charadriiformes). The average frequency of the song is 3.8 Khz and the repertoire includes the highest values ​​of the Turdus genus with the lizard. Young people emit a characteristic call for food (“tschiptschiptschip”). Geographical distribution of “subspecies or breeds” : Tphebridensis occurs in the Hebrides, West of Scotland, Arran and County Kerry in western Ireland. Sedentary but shifts to south-south-west are observed in winter. Tpclarkei is located in other British areas (not occupied by Tphebridensis), in Ireland and in adjacent parts of the continent (west and northwestern France, Belgium, west and central Netherlands). 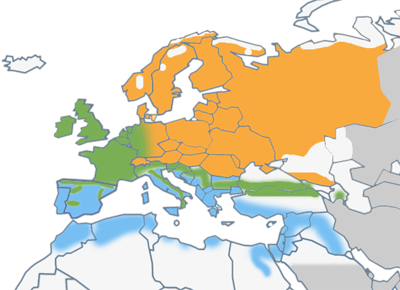 Birds in Denmark, central France, Germany, Italy and northern Spain, Greece, Bulgaria and Romania are likely to belong to an intermediate “race” between clarkei and philomelos . Many people travel south in winter to reach France, Corsica, northern Spain, Portugal and the Balearic Islands. Tpphilomelos partially occupies the center and east of Spain and the extreme northeastern north of Portugal, from the east to the south of France, Switzerland, the Apennines to the south of Italy, to the east to the western part of Turkey. In the north, the species philomelos is present in the Scandinavian countries and in the east, as far as Lake Baikal, south-west of the Caucasus and south of the Caspian Sea. This breed was introduced to Australia, Lord Howe Island and New Zealand where it is now common. A Uniform color of large covers and less visible task than in young people. Common and locally abundant species. It enjoys woodland habitats, dense undergrowth areas, forests, parks and gardens during breeding.Instead, it uses more open habitats during the winter (Mediterranean scrubland and scrubland, hedgerows, stream banks and cultivated areas, particularly vineyards). The song thrush has benefited from the transformations of cropping systems, the generalization of parks and gardens planted with ornamental shrubs often carrying berries. It avoids the coldest and hottest areas for breeding (Mediterranean coastal rim). The presence of snails and earthworms is one of the factors favoring the species. The song thrush looks for food under shrubs and trees, in the litter, as the blackbird and is distinguished by this behavior of the other 3 species of thrush hunt in Europe. In Great Britain, the analysis of 84 stomachs harvested all year round revealed the presence of: 35.5% insects, 15% earthworms, 5% snails, 1.5% other invertebrates, 41.5% fruits and of berries and 1.5% of herbaceous plants In Spain (Cordoba), the winter diet is mainly composed of fruits (69-82% of vegetable matter); 41-60% olives and invertebrates (snails and beetles). In the Negev desert (Israel), the song thrush exerts a strong predatory pressure on snails and on some species in particular. 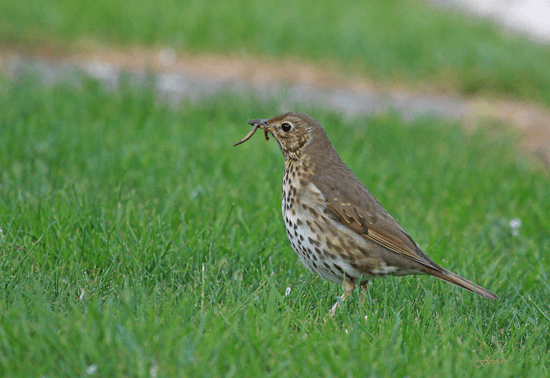 The Song Thrush is able to use a “tool” to feed itself. She throws the snail violently on a stone (“anvil”) to break the shell. Forest reforestation programs should include a wide range of berry-producing plant species to support the species. The restoration or planting of olive groves encouraged by the European Union is a factor favoring the species as well as the abandonment of agricultural transforming plots cultivated fallow favorable to the species. Breeding starts in March in western Europe, in mid-April in central and eastern Europe and in April-May in Finland. In New Zealand, laying occurs from late June to mid-December. The nest is built by the female in trees or shrubs as a rule but sometimes on the ground, in an embankment covered with dense vegetation. In Poland, measurements of 196 nests averaged 2.5m above ground (0-8). The nest is made of twigs and straw, lined with moss, leaves and grass, all consolidated with mud. The following dimensions have been observed in Poland: outer diameter: 14.8cm (9.3-18); inside diameter: 9.1cm (8.0-13.0); height: 11.7cm (7.5-23). Eggs are rarely single-colored, smooth, shiny, pale blue with brown, red or black spots (according to 3 plate 84). The average weight is 6.0 g (Tpphilomelos), 6.2 g (Tpclarkei) and 6.45 g (Tphebridensis) .The size of the egg is 3 to 5 eggs (2-6). The average varies according to the season: 3.9 in March ; 4.3 in April-May; 3.8 in June. On average 2 to 3 broods per year but no more than 2 north of the range. The eggs are laid every day. The incubation lasts 13.4 days (10-17) and is provided by the female or very exceptionally assisted by the male. Incubation begins with the laying of the last egg and hatching is synchronized. The chicks are fed by both parents. The flight takes place 14 days after hatching and the young become independent soon after. The first reproduction is observed at the age of one year. The fertility rate is 71% (n = 739 eggs laid). Out of 1,034 hatched chicks, 78% survived until fledging. Out of 816 controlled nests, 50% produced at least one young hatchling and 36% fledged. A recent European synthesis (4) has estimated the European number of breeding pairs between 12 and 25 million (36 countries concerned). In France, the numbers are between 400 000 and 2 million pairs, in Spain between 200 000 and 400 000 couples, in Italy, 100,000 to 300,000 couples, Greece: 2000 to 5000, Portugal: 10 to 100 couples. Among the countries concerned, the highest numbers are in Germany (1.7 to 5 million pairs), Sweden (1.5 to 3 million pairs), Lithuania (1 to 2 million) and the United Kingdom (1.1 million pairs). Current trends, according to the standards of Bird Life International, make it possible to classify this species in category 4: favorable conservation status and secure status in europe. Among the 36 countries involved in this synthesis, music thrush populations are either stable or increasing in 29 of them. However, the species is not hunted in the only 4 countries where it is considered a decrease. The transformation of nesting habitats (hedges, groves, etc.) is the major cause of this situation in these countries (United Kingdom, Netherlands, Ireland and Andorra). Admitting on average a production of two young per pair, it has recently been estimated that the European numbers of this species in Europe are between 48 and 100 million birds before migrating (6). Mortality rate : Mortality in the first year is 53% and 40% in the second year (UK). In Finland, the total annual mortality is estimated at 54%.The oldest known banded bird was 13 years and 9 months old. The species has many resident populations but the most northern ones are partially or exclusively migratory. Contrary to the purple thrush or litorne, the thrush music shows a real affinity for the same wintering areas frequented each year. Birds from Scandinavia, Germany, Switzerland, Poland and Russia migrate to southwestern and southeastern Europe to overwinter in southern England, France, Spain and Europe. Portugal. More northern populations including first-year birds winter further south: Canary Islands, Morocco, Algeria, Tunisia, Libya and Cyprus. Birds from Denmark, the Netherlands, Belgium, and northeastern France are partially resident or move short distances to the south. Birds from Switzerland migrate to the south of France, along the Mediterranean coast, to northern Italy, Corsica and Libya. The banding of birds banded in Greece reveals a Scandinavian origin, from western Russia but also from Italy and Malta. The easternmost populations probably winter from the western Mediterranean to Iran, Kuwait and Eritrea. Many birds from Great Britain and Ireland winter in northwestern France, northern Spain, Portugal and the Balearic Islands but probably also in Algeria. Birds migrating at night over the North Sea are frequently victims of flares from off-shore oil rigs and headlamps. The migration starts in autumn begin in September but also in August. The bioacoustic stations installed in Lombardy (IMPCF: 11, 12, 13, 14) detect displacements from the third week of September which is confirmed by the catches of the Arosio banding station (Italy.FEIN). 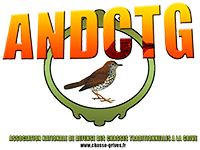 The thrush musician starts the post-breeding migration (September-October) before the mauvis and litornes thrushes (end of October-November). Birds from the northern parts of Europe (Scandinavia, Siberia ..) begin their migration in September, while birds further south (Germany, Belgium, Switzerland …) begin to migrate in October-November. 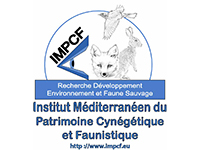 This succession of passages according to the origins of the birds has been well studied, both during the post-breeding and pre-nuptial migration, by the bioacoustic stations (cf: IMPCF: 6, 8; 9; 10-14 and ONCFS: 15). therefore work every night from September to early May. Pre-breeding migrations of birds wintering in North Africa begin at the end of March and continue until mid-April (3) in Ukraine and the Caucasus.It is during this period that the birds also leave their wintering area located in Portugal, Spain and southern France. These results have been recently confirmed both by the use of bioacoustic stations and weekly counts (5) and by the analysis of lipid increments (4). These results are further confirmed by dates of arrival at breeding sites in both central and northern Europe (3; 16). The Song Thrush is among the 5 huntable species of the Turdus genus to complete the return migration later in the first decade of May (3; 12; 13). As the blackbird, the song thrush has a more gregarious behavior in migration (post and pre-nuptial) than it shows during wintering. This criterion was used in the enumeration protocol used in the south of France (IMPCF: 10) to define more precisely the beginning of the migration. The song thrush is among the species of the Turdus genus in the most hunted Western Palearctic, notably in the Mediterranean countries (Cyprus, Spain, France, Greece, Italy, Malta, Portugal). In these countries hunting has been practiced since antiquity according to traditional methods, with or without calling, but also with the rifle, in front of oneself or at a fixed post. In the south-east of France and in certain regions of Spain, the capture of this species by glue is authorized by way of derogation from Directive 79/409 (Article 9). In the Balearic Islands, the same derogation is granted for the use of nets (“filats”). In all cases the criterion retained is “the catch in small quantity” of a nature not to harm the state of conservation of the species. Recall that it is currently considered in a favorable state of conservation in a recent European synthesis (4). The samples taken by shooting in Europe are insufficiently known and deserve to be the subject of a common methodology. 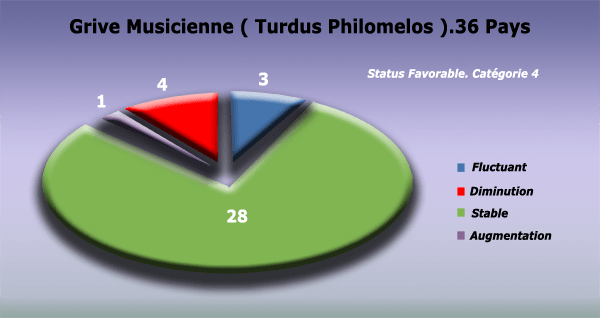 By random sampling (Sofres), the national samples of the four thrush species (musician, mauvis, litorne and drains) were estimated in France (ONCFS-UNFDC) in 1998/99 at 4 537 960 (± 1.8%). This figure, if we refer to the estimate of the European population before migration, calculated by considering the average production of two young people per couple (6), represents 1.4 to 1.6% of the median value of the estimated European total. 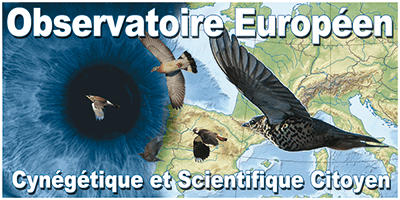 The introduction of a sampling book or an annual monitoring by survey as established in Italy and Greece, would allow an annual monitoring whereas the national surveys in France are carried out every ten years on average which forbids any comparison for a group of migratory species whose migration and wintering levels are largely dependent on annual weather conditions. The conservation of breeding, wintering and staging habitats is one of the essential elements of the action plan for this species. The north-south axis constitutes an inseparable link of conservation: habitat management in the north and management of populations and habitats in the south.Key habitat management measures included the conservation and multiplication of hedgerows according to well-defined criteria (developed shrub and tree strata), integration of berry shrubs in reforestation plans, management of wastelands resulting from the freezing of shrubs. lands, conservation of a mosaic of “closed environments-open areas” in the scrubland and scrubland in the Mediterranean zone to find a compromise with the actions of fire prevention. The development of olive cultivation, financially supported by the European Union, should ultimately be a factor favoring the species in the wintering area but also during the return migration (migratory stopover) providing birds with the possibility of constituting the reserves necessary for their long journey and likely to improve their survival before breeding.